Your gateway to the conference. We seek to improve your conference experience! New to OLC Innovate? Attended previous OLC conferences and want to share your knowledge and expertise? Interested in connecting with others to discuss particular topics like instructional design, blended learning, faculty development, emerging technologies or digital literacy before, during, and after the conference? To participate, please fill out this short form, and we will get back to you with additional information. The OLC Innovate Ranger program is designed to enhance the conference experience for first-time conference attendees and anyone looking for additional networking opportunities at OLC conferences. More information to be added as details are confirmed. Join the OLC Innovate Rangers and other conference attendees for a tour of the Gaylord Rockies Resort and Convention Center! Join us to familiarize yourself with the conference center layout to ensure your conference experience is off to a great start! No advance sign-up needed; just meet your Ranger tour guide at the Ranger Station (Aurora Foyer) near conference registration. Questions? Contact us at conference@onlinelearning-c.org. Join the OLC Innovate Ranger Community! Conference attendees will enjoy a guided experience that has been custom-built by peers and colleagues who seek to share their knowledge and insight, but also are experienced in navigating OLC conferences. You can participate in as few or as many Ranger activities as you’d like, and are free to explore the different guided learning journeys integrated with the various conference tracks and networking events. We invite you to participate in a series of short and collegial engagement activities occurring before, during and after the conference. 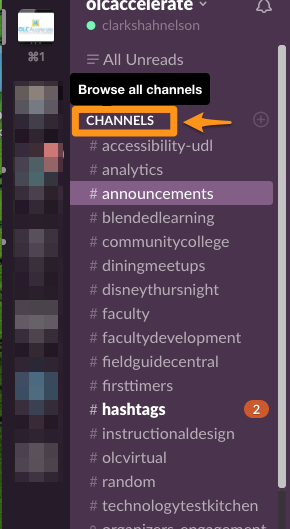 By signing up, you’ll be invited to join the #OLCInnovate Slack team (What is Slack?) to facilitate communication and coordination. Interested in being part of the OLC Ranger Program? Please read on! Receive engagement maps targeted for specific demographics (faculty, instructional designers, administrators, library, etc.). These maps will detail pathways through the conference program that include theme-based sessions to attend in support of a specific topic or focus area. Participate in on-site and virtual networking and mentoring events. Support existing and mentor new OLC Rangers. Guide the development of the OLC Ranger operations manual. This will help us scale and measure the effectiveness of our program! Create engagement maps through the conference program for targeted demographics (faculty, instructional designers, administrators, library, etc.). These maps will detail pathways through the conference program that include theme-based sessions to attend in support of a specific topic or focus area. Contribute to developing logistics and resources for on-site and virtual networking and mentoring events. Please be sure to arrive in Denver early enough to attend our Face-to-Face Kickoff Lunch and Meeting on Wednesday, April 3 as 12pm MT. Lunch will be served, Ranger Program organizers will lead an orientation, and OLC staff will be on hand to answer questions. Rangers and participants are encouraged to join in as many of the following activities as they would like. Receive guidance before, during, and after the conference. You can use Slack for instantaneous communication to help participate in meet-ups during the conference. Engagement maps are available, providing detailed pathways through the conference program that include theme-based sessions to attend in support of a specific topic or focus area. Join a field trip or Walk ’n Talk with a Ranger, such as a tour of the conference area for new attendees, a trip off site, a group dinner, or participate in a table discussion. Pick whatever you’d most enjoy, and explore and learn with new colleagues. Join a table discussion during the Face-to-Face Ranger Kickoff session of the OLC Innovate 2019 Conference. Some tables will be focused on navigating the conference, while others will be focused on issues or challenges that arise in the pre-conference discussion of different conference streams (e.g., managing relationships between faculty and instructional designers; getting buy-in to implement analytics). Learn about how to become an OLC Ranger for a future conference. Guide conference attendees during the conference. You can use Slack for instantaneous communication to help coordinate your meetups during the conference. Lead a field trip or Walk ’n Talk with conference attendees, such as a tour of the conference area for new attendees, a trip off site, a group dinner, or lead a table discussion. Pick whatever you’d most enjoy, and share your experience and expertise with new colleagues. Contribute to social media and other channels in support of guiding conference attendees through the engagement maps, and updating maps as needed. Whenever necessary, provide wayfinding services for attendees as they navigate through established learning pathway maps. Lead a table discussion during the Face-to-Face Ranger Kickoff session of the OLC Innovate 2019 Conference. Some tables will be focused on navigating the conference, while others will be focused on issues or challenges that arise in the pre-conference discussion of different conference streams (e.g., managing relationships between faculty and instructional designers; getting buy-in to implement analytics). Mentor a future OLC Ranger. Seasoned OLC attendees may ask about the OLC Ranger program. Encourage them to explore what you are doing and share your experiences with them. 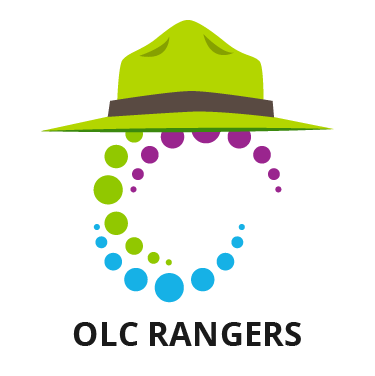 Participate in the the OLC Conference Ranger Slack discussions. Participate in the the OLC Conference Ranger debrief session, and/or Slack discussions. and answer all your questions! After that, we hope to see you in Slack, and at the OLC Innovate 2019 Ranger Face-To-Face Kickoff on Wednesday, April 3rd (time and location TBD) in Denver! Questions? Please ask us on Slack or email conference@onlinelearning-c.org. We look forward to meeting everyone very soon! Please meet up with us on Slack! Slack is a “Team Communication Platform” (TCP), basically a chat client, but more expansive, since you can join “channels” or groups about various topics of interest, rather than just chat one-to-one. Slack can be used via a web browser, or as its own application on desktops, laptops, mobile phones, and tablets. For the uninitiated, please watch a short video demonstrating what Slack can do. We have set up a Slack team to be used before, during, and after #OLCInnovate. We highly recommend you download the Slack applications for iPhone, Android, Mac, Windows, etc. 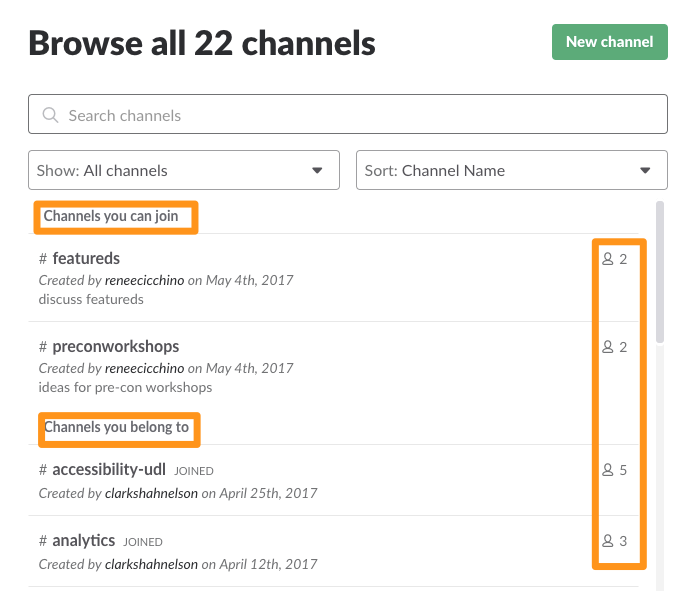 You’ll find a list of channels you can join, channels you belong to, and the number of participants in each channel. You can join as many channels as interest you – and you can always leave and re-join channels later based on your needs. You can also configure different types of notifications for each channel so that you aren’t constantly inundated with notifications. #rangercentral – Our primary channel for general Ranger usage. This channel is not specific to a topic, such as accessibility or community college. Use this for ranger meetups or spontaneous get togethers at the event, general introductions, looking for a ranger for a specific purpose, etc. Once you have joined some channels – you can start by introducing yourself in a channel or two, perhaps posting a link to an interested or inspiring article or a question that is on the top of your mind. Share information about the conference, upcoming sessions, sessions you are excited to see, things you plan to do during the conference, etc. Just keep in mind that communication in Slack may be somewhat synchronous, but may be entirely asynchronous, too, depending on when others are online and participating. If you have other ideas for channels or connected apps, please let us know and we’ll see what we can do. A short video on messaging in Slack. Keep in mind that if you really want to alert someone personally and quickly, you can use a direct message to that person, OR use @username in the channel to mention that person and send a notification. We are inviting everyone to start joining the Slack channels whenever you like leading up to the conference. You can share session tips, ask questions, plan meet ups and your conference schedule, etc.